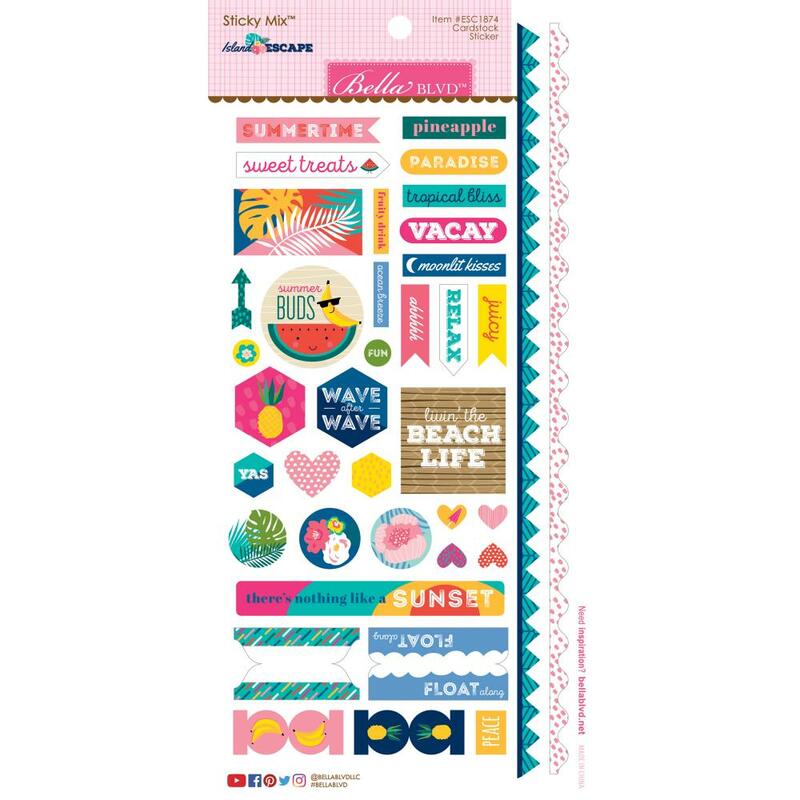 This 6" x 12" Cardstock Sticker Sheet has Borders, Shapes, Tabs & Pennants to Accent & Embellish your Tropical Memories.This Island Escape Collection is sure to make your Sun Kissed Tropical Memories warm any of your Craft Projects. Part of the Island Escape Collection by Bella Blvd. Look for coordinating Ephemera Die Cuts and selected Designer Papers.